Simple syrup, as the name implies, is simple to make at home. 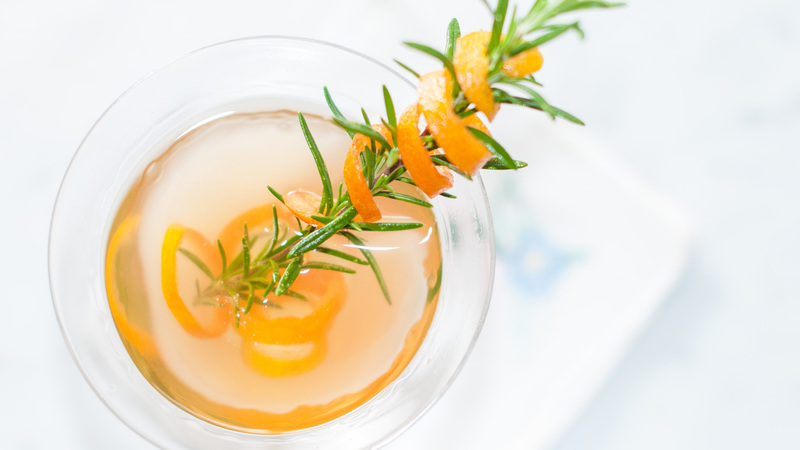 Infusing it with flavor adds an extra layer of depth to your cocktails (or even soda or coffee). Simple syrup is important for two reasons. First, the key to a really amazing cocktail is balance. Cocktails are often packed with the burn of booze, bright citrus and sometimes even bitter or earthy flavors. Getting a little sweetness in the mix keeps your cocktails from being too pucker-inducing. Second, standard sweeteners like granulated sugar and honey don’t dissolve that quickly in cold liquids, and alcohol inhibits the ability of sugar crystals to dissolve. A simple syrup just pre-dissolves the sugar. Doing it yourself means the flavor combinations are endless.